Necklace by Zoe Lev Jewelry. 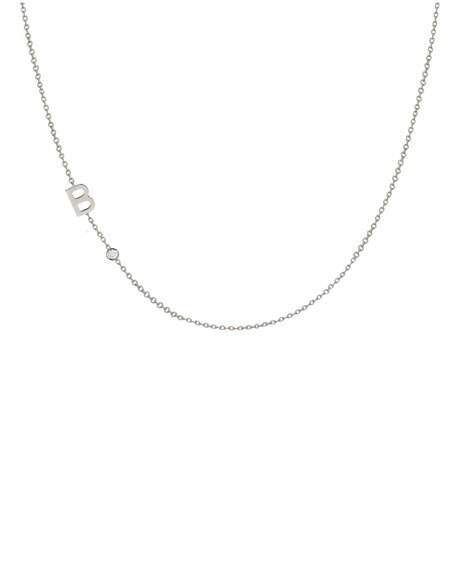 Integrated initial pendant with diamond bezel. LAGOS Caviar Spark diamond ball-chain necklace. Sterling silver Caviar ball chain and hardware. Integrated prong-set diamond bar pendant. Single integrated open heart station. 0.60 total diamond carat weight. Adjustable; lobster clasp. Approx. 18"L. Imported.